Saw Toy Story 3 today. Overall, great movie. 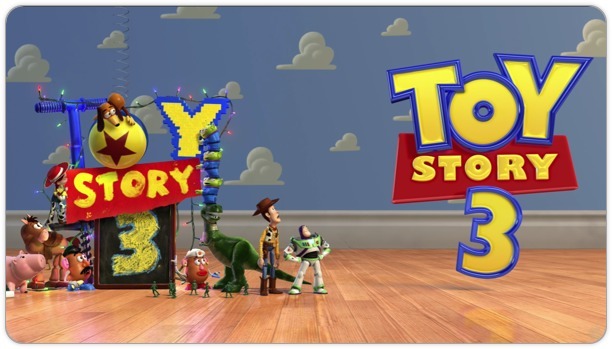 I had moderate expectations and as usual Pixar got the formula right for Toy Story. Good creative story line, humor, a little bit of action, emotional, and visually stunning. Lots of feel good moments and you don’t have to be a kid to appreciate the movie. Definitely a must see this summer. I saw it in a regular theater cause 3D was sold out. I will probably go see it again in 3D. This song by Marcel Khalife is one of my all time favorite songs. Its soothing with great relaxing rhythm and amazing lyrics (the lyrics is actually a poem written by Mahmoud Darwish). My friends used to make fun of my voice singing it. I once recorded myself and found out how much I butchered the song. More holiday deals are popping up. Ubisoft released a number of episodes supporting the launch of Assassin’s Creed 2 called the Lineage series. These films are intended to “focus on the story of Ezio’s father, Giovanni Auditore da Firenze” and delve into the history of “the Assassin’s Creed 2 storyline and characters”. Here is the complete video file of the Lineage series. A while ago, I posted the first 3 videos on Assassin’s Creed 2 Dev Diaries here. Here are the rest of the Dev Diaries. Darksiders mixes elements from Devil May Cry, God of War, and open world action with some RPG character development gameplay.